Based On True Events- At the beginning of Fargo the film, the audience is informed that what they are about to see is based on true events. This has become a very famous inside joke, as Fargo is completely fictionalized. You can see this same warning at the beginning of every single episode of Fargo, and it is stretched even further (letting us know that the characters are also real). Once you know that none of this is real, the disclaimer becomes hilarious. The White Russian- The Dude’s drink of choice is referenced in the pilot when Lester walks into a bar offering the drink as a special. Front of the Car- One distinct characteristic of a Coen Brothers film is a POV shot from a car’s front windshield. Off the top of my head, I can remember seeing it in Blood Simple, The Big Lebowski, No Country for Old Men, and Inside Llewyn Davis. There were plenty on the show. Lorne Malvo- Malvo is perhaps the most Coenesque of all the characters in Fargo. Malvo is a cross of Anton Chigurh from No Country for Old Men and Leonard Smalls in Raising Arizona. Like these two characters, Malvo’s motives and morals are questionable. What he does value most is survival, and he will kill anybody who stands in his way, whether you are a cop or an innocent bystander. Lester Nygaard- Lester is clearly the Jerry Lundergaard of this version of Fargo. Initially, Freeman played Nygaard as a William H. Macy imitation but deviated as the season went on. Like Jerry, Lester is a timid man who is stuck in a dead end job. Unlike Jerry, Lester got to prove he was much more than just that. He was also a half-decent liar who just wanted to get revenge on everyone who ever wronged him. Molly Solverson- Molly is obviously the Marge Gunderson figure here. 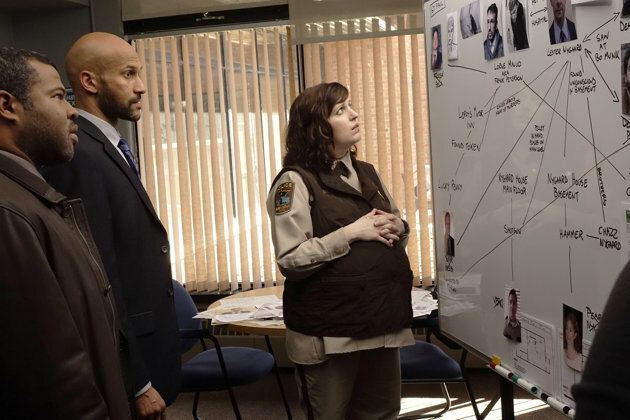 She is a pregnant cop who is a whole lot smarter than her co-workers. She’s a dynamite detective in a Minnesota Nice world. The Rich Man’s Parable- In one episode, Gus’s neighbor tells him the story of a rich man who killed himself because he discovered that he alone could not solve all of the world’s problems. The moral of the story is, well, you can’t solve all of the world’s problems. This is the kind of lesson the Coen Brothers would love to teach in their films. Also, this parable is shot and told similarly to the story of The Goy’s Teeth from A Serious Man, complete with characters mouthing the words of the narrator. There’s something very Jewish about it. I don’t know, I can’t explain it. 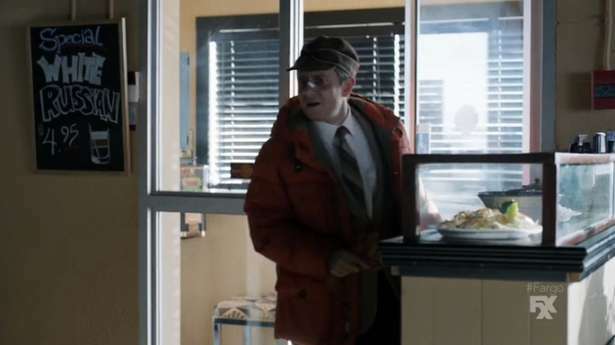 The Briefcase- Creator Noah Hawley confirmed that Fargo the TV show and Fargo the film take place in the same universe. This was apparent in a flashback from 1987 when Stavros Milos found the briefcase of money buried in the snow not long before then by Carl Showalter (Steve Buscemi). Marge Gunderson warned us all that nothing good would come of that money. Too bad Stavros wasn’t around to hear that. Knudsen- One of Molly’s fellow officers working in the Bemidji Police Department goes by the name of Knudsen. In The Big Lebowski, it is briefly mentioned that Bunny Lebowski’s birth name is Fawn Knudsen. Fawn is originally from Moorhead, Minnesota, a town that is not too far away from Fargo, North Dakota. If only the characters of Fargo could share some of The Dude’s zen attitude, then maybe less people would have ended up in wood chippers and frozen lakes.